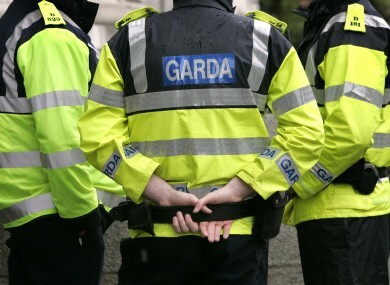 A WOMAN IN her mid-twenties has died following a two-car collision in Meath. Gardaí in Enfield are appealing for witnesses following the fatal collision yesterday, 18 June. They said that at approximately 9.15pm, a 25-year-old female was seriously injured when the car she was passenger in was involved in a head-on collision with a second car. The collision occurred on the R148 at Blackwater Bridge, Enfield, Co Meath. The woman was taken by ambulance to Connolly Hospital where she was pronounced dead. The driver of the car, a man in his 20s, was also removed to Connolly Hospital. His injuries are understood to be serious. The driver and sole occupant of the second car, a woman in her 30s, was taken to Midland Regional Hospital in Mullingar. Her injuries are not believed to be life-threatening. The scene is preserved for a forensic and technical examination and local diversions are in place. The coroner has been notified. Anyone with information is asked to contact Enfield Garda Station 046 9541002 or the Garda Confidential Line on 1800 666 111. Email “Appeal for witnesses after woman (25) dies in collision”. Feedback on “Appeal for witnesses after woman (25) dies in collision”.